One does not simply eat dim sum alone. Well, actually one can, but when typical orders of a dumpling or dish come in threes or fours, it’s very easy to get full without trying much of the menu. So when one of my grad school classmates offered to get dim sum with me before meeting to work on our project, I jumped at the chance. 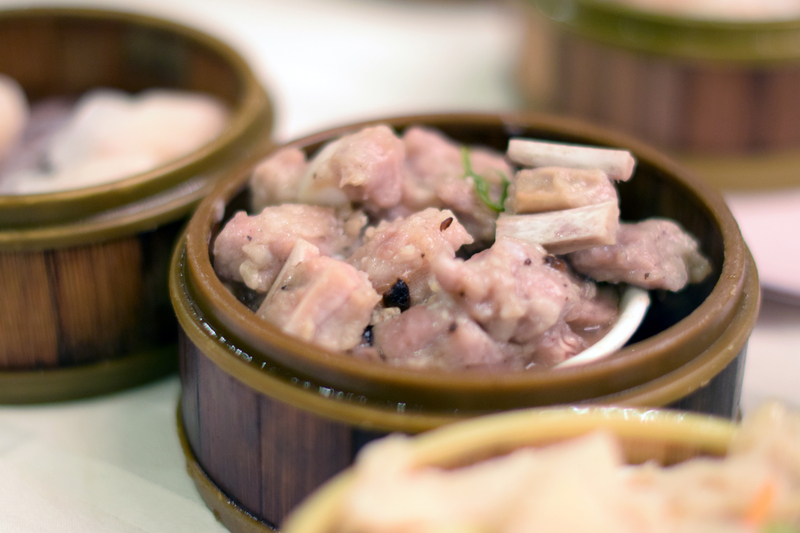 A mashup of brunch and tapas, dim sum or yum cha is a Cantonese institution. 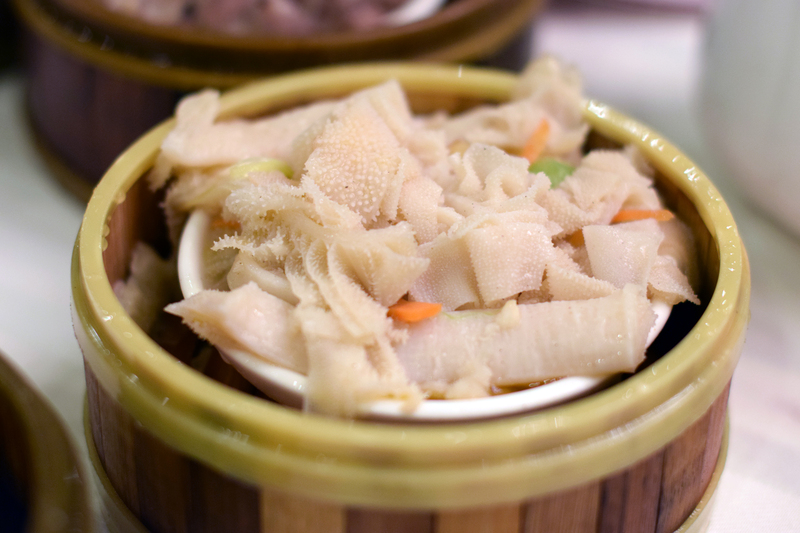 You know you’re in a true dim sum restaurant when you have order from carts filled to the brim with bamboo steamers. You know you’re in a true dim sum restaurant when there is no menu, only a piece of paper that serves as a running tab of all the dishes you ordered. Jing Fong is an interesting restaurant. You shove your way to the front, grab a numbered ticket, and wait anxiously for your number to be called. You then are ushered up a giant escalator to their gigantic banquet space and depending on the size of your party, are seated at a table or are forced to share your table with complete strangers. Also, they serve mimosas. 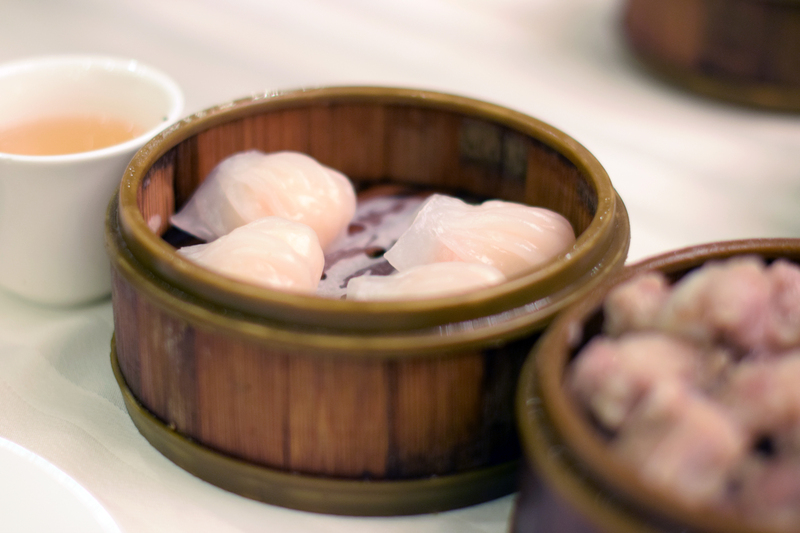 It’s hard enough to get water at really authentic dim sum restaurants (tea is the typical drink-of-choice), but seeing a couple waitresses carting around champaign and juice was truly jarring. But hey, it’s New York. Now the key to ordering dim sum is a strategy of having the most experienced person (or the most fluent Cantonese/Mandarin speaker) sit closest to the aisle. The seat closest to the aisle allows one to easily converse with the waitstaff or the people pushing around the carts. 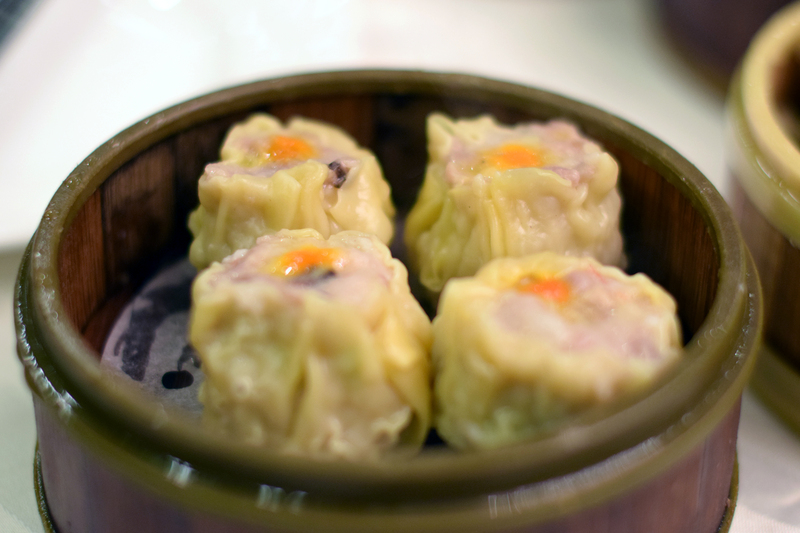 New to dim sum? 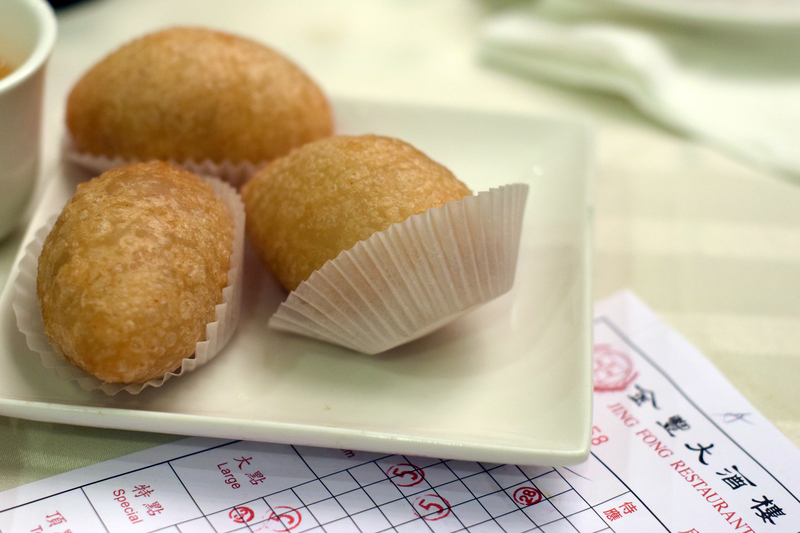 Buzzfeed has a great guide on the names of dishes and descriptions of the most popular dim sum items. If all else fails, when a cart passes by, just point, ask what it is, and hope that you understand enough to know what you’re ordering. Most dumplings are straightforward–you can see if it has shrimp or pork, but if all else fails, it doesn’t hurt to ask. Surprisingly it was not that difficult to order–they must be used to tourists. We started with two different types of har gow, siu mai, beef tripe, and steamed spareribs with fermented black beans. 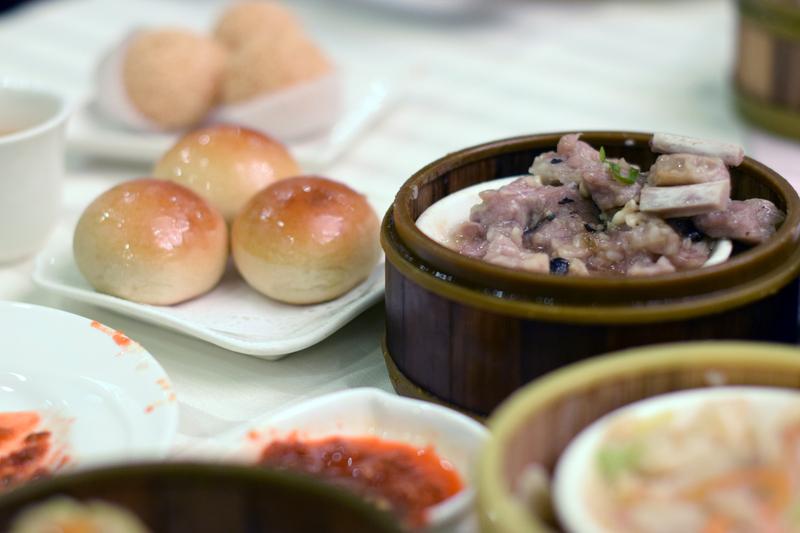 Classic dim sum dishes for beginners and picky eaters. I usually use these dishes as benchmarks of how good a restaurant is, as you can get them in just about any dim sum restaurant. The verdict? While not tasting as flavorful or as fresh as some of the dim sum restaurants I’m used to in Oakland and San Francisco Chinatown, the food is quite good and the experience alone of their massive ballroom and incredible efficiency of managing hundreds of diners is almost worth the wait. Moving on to their fried and baked fare, we ordered the cha siu bao (right) – a baked pork bun that is slightly sweet and sticky – ham sui gok (below), fried pork dumplings made with a sticky glutinous rice dough, and (not pictured) jian dui – a fried dumpling coated in sesame and filled with mung bean paste. They were all well done, though I wish that the ham sui gok was a bit warmer (lukewarm ground pork doesn’t taste that great). Though I don’t think this is the most authentic or best dim sum restaurant in the city, I probably would come back if I had someone visiting me from out of state. 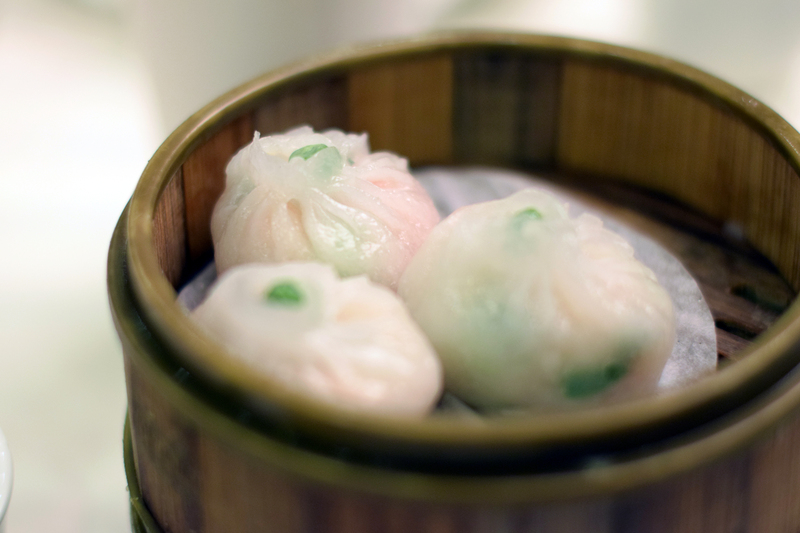 What New York restaurant do you think serves the best dim sum? I have to say that your blog poata always leaves me hungry. I’m embarassed to say that as a New Yorker having international restaurants available to me, I have never tried dim sum. I’ve ordered dumplings at Chinese restaurants, which sounds boring compared to this whole new experience – one it seems to better undertake with a pro. You hands down are a dim sum guru. The dumplings all sound like they taste delicious. I’m a fan of trying new dishes like the Giong Chong Ngao Pak Yip. I would have second thoughts about the baked pork buns. Is it sticky because of the sweetness? I keep picturing pigs in a blanket – is it a similar concept? How do you find all these places? And which one is your favorite? Please read poata as posts…had a little typo there. Thank you for the lovely comment! 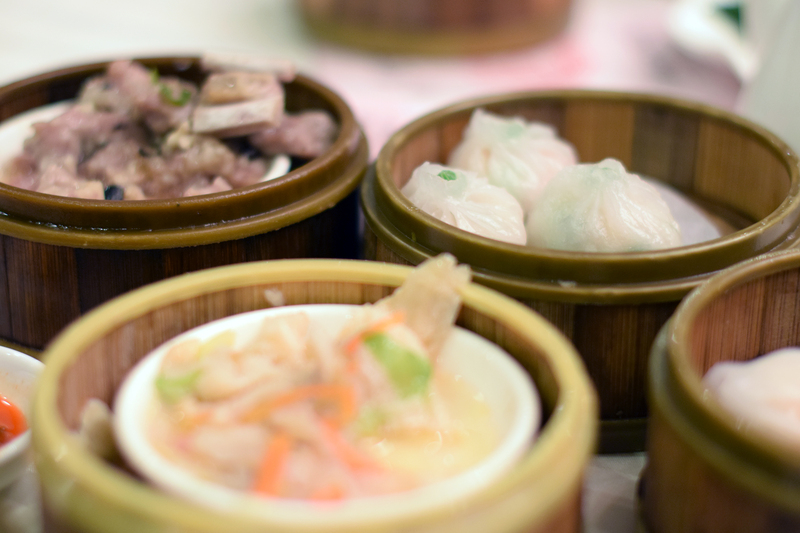 Dim Sum is definitely daunting if you aren’t familiar with it. I was lucky enough to have my parents take me when I was young, and have Chinese friends in college who taught me how to order. The dumplings are very delicious, though you should let the person ordering know ahead of time if you don’t like seafood, or if you can’t eat pork, etc. so that they can make sure not to order those dishes. THe Giong Chong Ngao Pak Yip (black bean short ribs) are pretty palatable to most eaters. 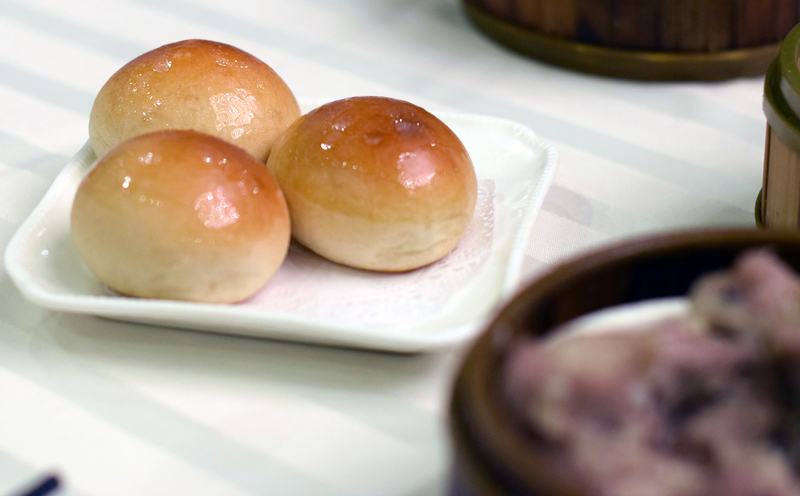 The baked pork buns are sticky because they have a light glaze on the outside which makes the dough sweet. The pork on the inside is savory with a hint of sweetness–nothing too overpowering but definitely a salty/sweet combo. I would say it’s comparable to pigs in a blanket, though the meat is pulled pork instead of a sausage, and it’s definitely slightly sweeter. I recommend just going to a chinese bakery and trying one (you can just order 1 instead of an order of 3 for $2 or less, and see if you like it)! And my favorite dishes are har gow (shrimp dumplings), siu mai (pork and shrimp dumplings), tripe, ham soi gok (the ground pork dumplings), and gai lan (not pictured, but think of a chinese-type broccoli in an oyster sauce). Definitely my go-to’s when I order. And I follow a lot of foodies on Instagram and do heavy Yelp research to make sure I won’t be disappointed when I pay for a meal. But for this particular place it was a friend’s recommendation. I have quite a few native New Yorkers who have recommended restaurants to me, so I have a long list I’m trying to sift through!